The Clean Team started as a three-person housecleaning company in San Francisco in 1979. At what the founder Jeff Campbell calls, “dirt university,” where more than 300,000 house cleanings have now been completed. He and his cleaning teams have learned a lot on the subject of speedy, thorough housecleaning. That knowledge “his company’s trade secret“ was the impetus for his five best selling books. The Clean Team now offers a free resource website for answers to cleaning problems and a print and on-line catalog of the cleaning products and tools found to be the best, fastest, greenest, and most personally safe. In 1979, Jeff Campbell came to a crossroads in his life. He felt it was time to leave the sheltered life of a corporate executive and strike out into a business of his own. After researching options, Jeff decided that he wanted to create San Francisco’s finest housecleaning service and besides, he couldn’t afford a Bed and Breakfast on Maui. Jeff purchased supplies, hired some good people, and named his new business The Clean Team. However, it didn’t take long for The Clean Team to discover that they needed to improve their cleaning skills taking hours and hours to successfully clean a single house was no way to prosper, or even survive, in their new business. What was the ideal approach to countertops? What was the best way to tackle a dirty shower? What was the smartest way to dust? And, above all, what was the ideal system to tie together all these cleaning tasks so a person could move through a house quickly and efficiently without sacrificing high quality results? The Clean Team researched a myriad of cleaning products and tools; they ventured beyond the aisles of the grocery store into the vast scientific world of professional cleaning products. Unlike the corporate giants, The Clean Team didn’t have big test labs and scientists in white coats. Instead, they worked in the trenches, dealing not with the theory of cleaning but with the actual practice. Each day the Team saw the consequences of every product they tried and everything that they did. The Clean Team experimented with different cleaning techniques and timed each method; they tested different cleaning sequences and products; they analyzed and experimented with each cleaning task; they kept notes and held regular meetings to review their findings. After several years of serious application and analysis, the Speed Cleaning system emerged. Jeff and his staff didn’t know it at the time, but they had fundamentally changed the art and science of housecleaning. What began as the official Clean Team Training Manual eventually became a book called, naturally enough, Speed Cleaning. 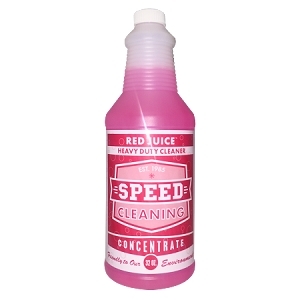 In it, Jeff revealed the step-by-step process of Speed Cleaning along with the products The Clean Team had chosen as most effective and most user and environmentally friendly. The book caught the imagination of people everywhere and became a best seller. Jeff went on to write five other books. In Spring Cleaning, he tackles more specialized household tasks such as washing windows, stripping floors, and cleaning carpets. In Clutter Control, he details important, practical strategies for keeping your home manageable and organized. Talking Dirt answers 157 frequently asked cleaning questions, while Good as New tells how to make appliances and all sorts of household items last as long as possible through simple step-by-step maintenance instructions. 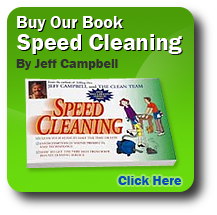 Another of Jeff’s books is Jeff Campbell’s Complete Guide to Success in the Housecleaning Business, written for the housecleaning professional. In 1986, Jeff founded The Clean Team Catalog Company, in response to readers requests for the professional products and tools described in his books. An instant success, The Clean Team Catalog Company eventually moved to the northern California town of Jackson, in the heart of the Mother Lode (near where gold was discovered). 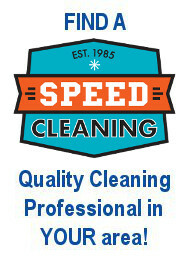 Now Jeff oversees a staff of cleaning experts, all of whom are personally trained to assist clients with cleaning tasks. Although The Clean Team Catalog Company originally printed and mailed thousands of catalogs, as the Internet came full force, along with an increasing emphasis on timely environmental concerns, Jeff made the decision to switch from mass printings and mailings to a more green-friendly internet-based catalog. However, because of its popularity, print copies are still available, to those clients who request them.